The Department for Transport (DfT) has called on Suffolk County Council to explain why costs on a bridge project across the River Orwell ballooned so much that the scheme collapsed. The estimated cost of the project rose from nearly £97m in 2016 to a potential £140m, an increase that the council attributed to factors such as ‘ground investigation costs, changes in bridge design post consultation and unforeseen procurement costs’. The council’s cabinet will next week consider a report that recommends stopping the Upper Orwell Crossings project immediately, after efforts to fill a £43m funding gap, which included asking the DfT for an increase on its contribution, failed. Highways asked the DfT to comment its refusal to provide additional funding when Suffolk's neighbour Norfolk was bailed out recently over the Norwich Northern Distributor Road (NNDR). The DfT added that the council will need to account for any cost increases on the project and that it has a policy of not committing further funding when this occurs. Although the department generally maintains a ‘longstanding’ policy to this effect, it overrode it in the case of nearby Norfolk County Council’s NNDR, for which it provided an extra £10m despite recognising that this ‘would set a precedent, which we would find difficult to argue against in future’. The DfT did not state what it would do with the unspent allocation. 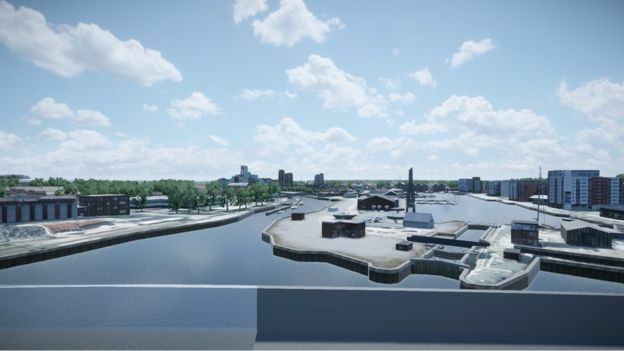 However, it did state that it would be happy to discuss with any emerging proposals the council might bring forward for alternative solutions in Ipswich. The council defended its spending of £8.3m on the failed project. A spokesperson said: ‘With any project of this size and complexity there is always going to be a level of investment needed to allow any investigations to start. All related project and development costs incurred to date will be paid from our revenue and capital budgets. Government funding for the scheme was announced by the then chancellor, George Osborne, in the 2016 Budget. Mr Osborne had also backed the failed plan to build a ‘Garden Bridge’ across the Thames in London. The council’s opposition Labour Group said that the council had come to the right decision eventually, but claimed that the plan for the main bridge across the river had been a ‘vanity project’ on the part of former local MP and minister Ben Gummer. Labour Group leader Cllr Sarah Adams said: ‘It is hard to get away from the fact that Suffolk County Council has wasted four years trying to deliver a vanity project on behalf of someone who is no longer in office.